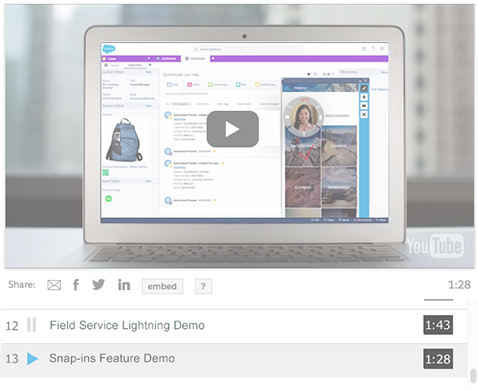 Introducing Snap-ins: integrated service for websites and apps. SOS (live two-way video chat). Delivering faster, smarter, more personalized service means keeping up with rising customer expectations for innovative delivery of superior customer care. Watch the Snap-ins demo to see how.